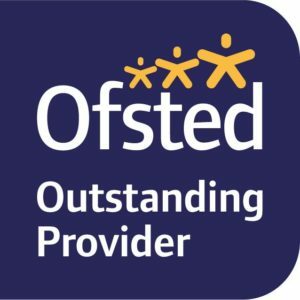 Are you aware of the impact of outside influences on teenagers today – Drugs, Anti Social Behaviour, Peer Pressure, Internet Safety, Sexual Health / Exploitation? 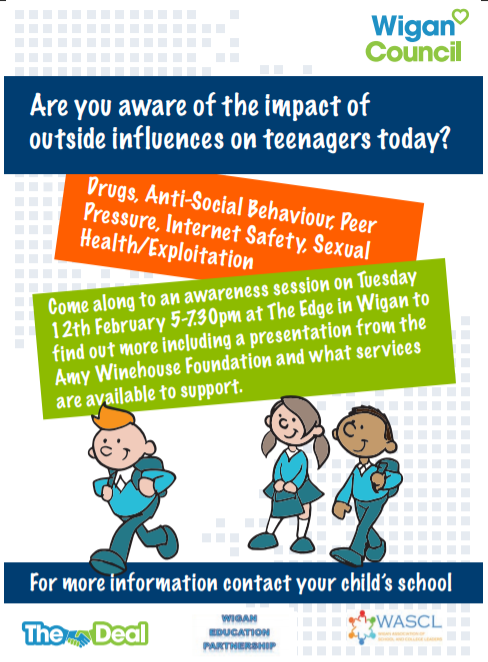 Come along to a free awareness session on Tuesday 12th February 2019 5-7.30pm at The Edge in Wigan to find out more including a presentation from the Amy Winehouse Foundation and what services are available to support. If you need any further information, please contact your child’s school.